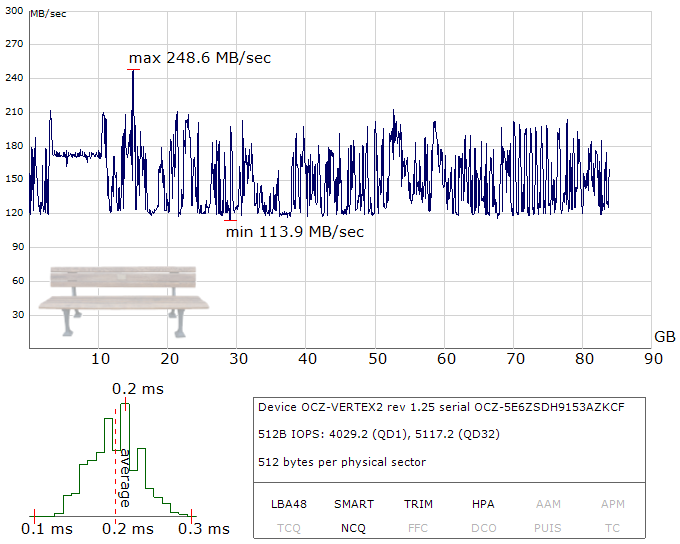 This is the sample benchmark chart for OCZ Vertex2 solid state drive (SSD). SSD performance differs significantly from the single disk. SSD has 100 times lesser average access time and 100 times greater number of IOPS. Additionally, SSD read speed does not depends on data location on the disk.